Trust us when we say that rooms and nightclub reservations go quick, though. There are limited rooms everywhere and limited space in clubs and you just don’t want to miss Sin City’s own countdown to midnight just because you didn’t jump on the chance. 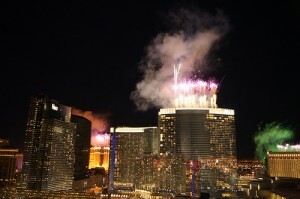 So follow this little guide to a Las Vegas New Years and enjoy ringing in 2014 Sin City-style. There are a lot of places that you can stay in Las Vegas for your New Years vacation, but there are many that you just don’t want to bother with. It has nothing to do with quality, but rather everything to do with location. You want to make sure the room you have is right on the Strip, that way when you’re ready to head outside to start your New Years Eve adventure, you don’t have to worry about transportation to the Strip. No matter how you try to travel to Las Vegas Blvd, you’re going to get caught in a heap of traffic unless you leave very, very early the morning of New Years Eve – maybe even the night before. Due to this, you also want to make sure you’re staying somewhere that you can stand being “trapped”. Choose a hotel that has a lot to offer, something that shouldn’t be too hard on the Strip. Also, when deciding, look for some place centrally located. A lot of the party takes place towards the center of the Strip, so to avoid having to trek from one end to the next, you may want to look at places like The Bellagio, Caesar’s Palace, The Mirage, and even The Venetian offers decent access to the big bash. While each hotel is bound to have its own unique countdown, there is always one large party on the Strip that everyone tries to be a part of – mostly because it’s the one televised event. While you’re looking for your accommodations for your New Years Eve stay, you may also want to start thinking about food. There are a lot of places to eat in Vegas on Las Vegas Blvd, but you have to consider how many people are actually staying on the Strip. Chances are, if you try to find a restaurant the day of, you are going to be sorely disappointed and will probably wind up eating at Nathan’s in the food court. Now that you know to think about food, where are some of the best places to eat? Again, you want to try and remain at the center of the Strip to avoid traveling too far to the big party. 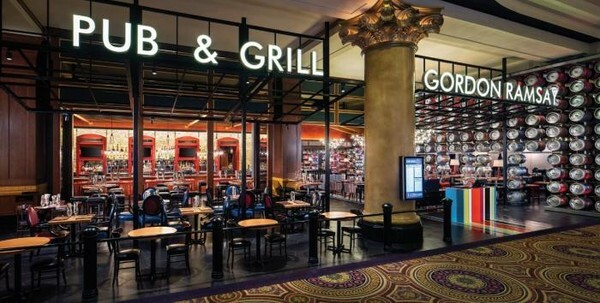 Why not check out Gordon Ramsay’s Pub and Grill, where you can get a taste of some authentic British cooking – and we’re not talking just bangers and mash. Ramsay also has a burger joint, Burger, in the heart of Planet Hollywood, another location that makes traveling to either end of the Strip quite easy. At The Mirage, you can indulge at the Samba Brazilian Steakhouse for a succulent cut of aged beef. 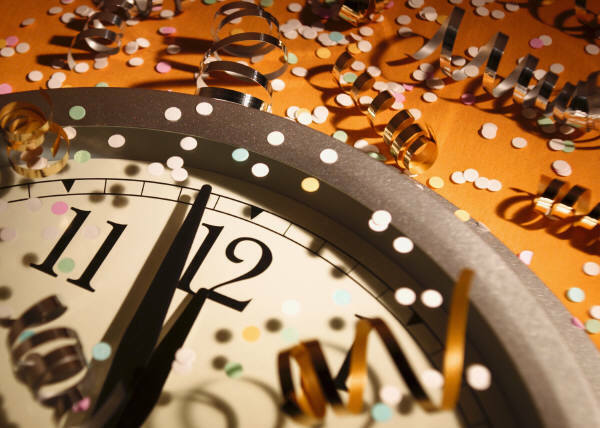 You’ve got your accommodations and your dining squared away, so where are you going to spend your New Years Eve partying? Ah, you feel the pressures, don’t you? The pressure of choosing just the right establishment? Don’t worry, we’ll make your choice easy. First off, you want a place with a view. That way, if you can’t be a part of the big party, you can at least get a great view of the fireworks show that happens at midnight. Clubs like Ghostbar, Moon, VooDoo, and Rain offer outdoor balcony’s that provide perfect views of the Las Vegas Strip. As you and your fellow partiers celebrate the coming of 2014, fireworks will explode in the distance – and you will have one of the best seats in the city. If you want to stay on the Strip, you can check out Chateau, which offers its own balcony seating. For the biggest parties, though, where the crowd is at its densest, you will want to reserve a spot at XS, Marquee, Pure, and TAO. Don’t put off your New Years Even planning any longer. Give us a call right now to reserve your hotel, dining, and nightclub for the best New Years Even you will ever have.